Tonight will mark the launch of LUSH Talks, which will see a roster of creative talks and panel debates that aim to stimulate discussion about what the future holds for new media. The evening will feature key speakers including LUSH Inventor and Chief Digital Officer Jack Constantine and will reveal a fresh new initiative that aims to support creative film making in the UK and abroad. The series also marks the launch of LUSH’s new Beak Street studio space. Mill+ Creative Director Carl Addy will be presenting his ‘Chaos Is The New Calm’ talk, previously featured at SXSW. 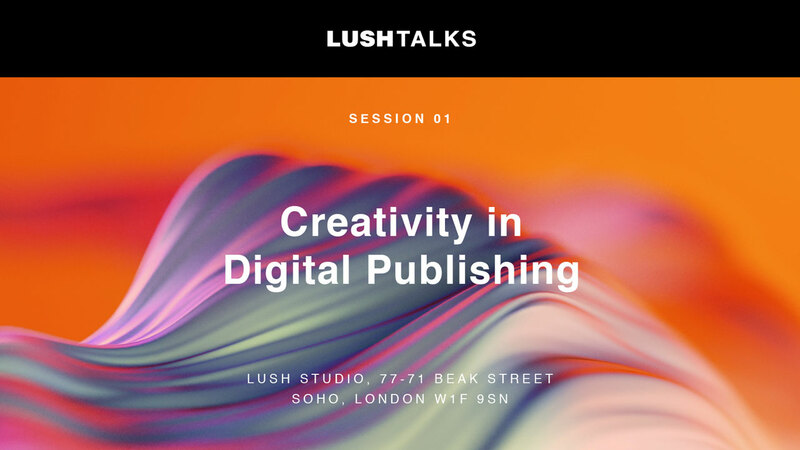 Carl will also be joining LUSH's Jack Constantine on a thought-leadership panel to discuss Creativity in Digital Publishing alongside Boris Veldhuijzen van Zanten, Writer and Founder of The Next Web, and Eloise King, Global Executive Producer at Vice Media. In addition there will be a Mill Experience On the Road setup, showcasing The Mill’s multi award winning collaborative piece with The Guardian, ‘6x9: A Virtual Experience of Solitary Confinement’, welcoming guests to trial the experience and take a look behind the scenes.